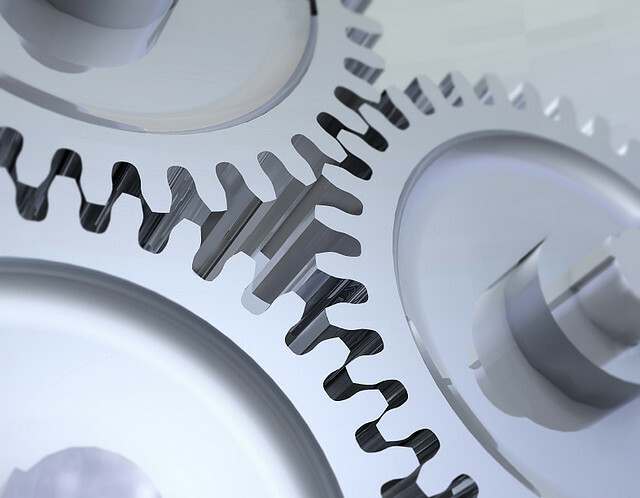 Integrating services to form a more consistent development workflow not only helps developers, but those outside of the realm of programming as more solutions to addressing the needs of complex workflows are presented. Built.io Flow is a newly announced service from the backend as a service (BaaS) provider that brings together APIs from a variety of projects used daily in marketing, communications, web development and DevOps. 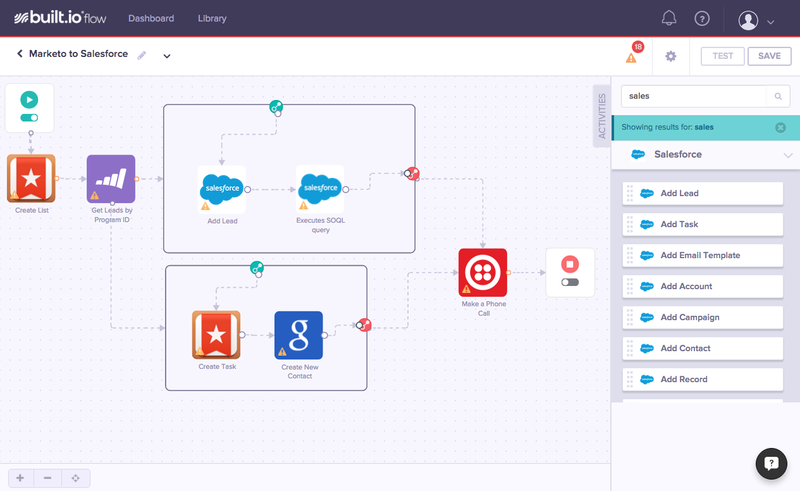 Where one may have had to sign into multiple services to accomplish a task, Built.io Flow creates an automated pipeline throughout a daily workflow task, such as capturing data with Wunderlist to send an automated email through Outlook, or aggregating customer emails in MailChimp to send newsletters through Marketo. Integrating apps has become a crucial part of business and with it the needs of companies and those who rely on their services have shifted. It is no longer seen as reliable or efficient to require multiple cross-platform sign-ins or the use of multiple services to accomplish a task. Where there was once a linear flow to integration, there was a demand for flexibility that could adjust and scale to the needs of a variety of businesses. Though the tools in Built.io Flow may be the same, the ways in which they are used on a daily basis are vastly different depending on which section of an app development team is using them. Built.io Flow implements drag-and-drop integration, linking together services to accomplish tasks from small to large. There are no clients or downloads required with Built.io Flow, as it is an entirely cloud-based platform. One can log into their account and immediately start dragging and dropping apps to customize their workflow. Thirty apps are enabled in Built.io Flow currently, including Marketo, Zendesk, Office and Evernote. Many more apps are slated to be added in the coming months. Build.io Flow takes the structure of Zapier and IFTTT and simplifies it to adapt to the needs of enterprise-level app development. Working with custom logic, Built.io Flow introduces a streamlined workflow to drag and drop individual components into a pipeline to trigger required actions. These mechanisms can be set to run at scale on an individual basis, allowing for less congestion during peak workloads. As Built.io Flow works across a multitude of platforms and services, this allows more security for those connecting to data centers, establishing connections behind a firewall to protect information within a system of record. The architecture of Built.io Flow addresses the need of content as a service, with Built.io flow built atop the original structure of C+ abstraction with Node.js. 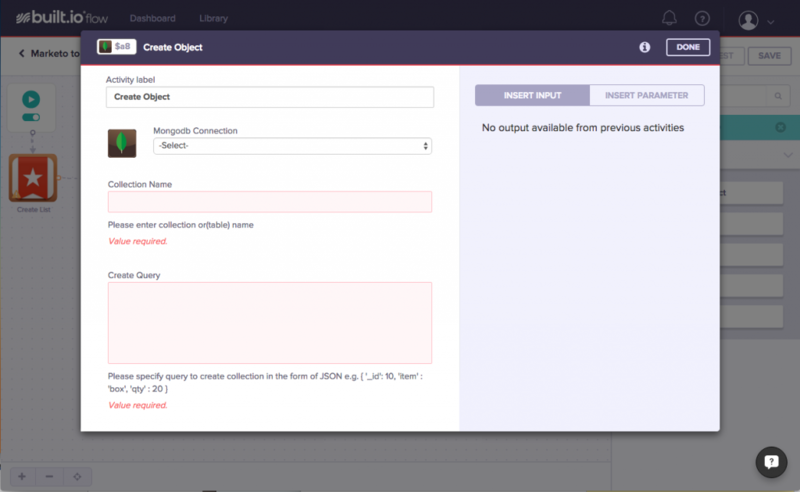 Introducing the concept of a workroom structure with a layer of additional workflow management atop the initial Docker container structure ensures that projects can be scaled up or down as the needs of a business grow. This enables applications can be run on top of the BaaS, ensuring business users can scale their content reliably with consistent results. Context for Built.io Flow’s server architecture is evident when comparing it to a service such as AWS Lambda. To integrate functions into Lambda, one must write a function which supports Node.js, Ruby or Java. Developers working in Lambda will also have to write functions that are URL referenceable. If a team wishes to integrate Salesforce and Marketo within Lambda, they will need to determine the integrations, write the function/mapping logic in the function and then execute it. In the case of Built.io Flow, to achieve this one would create a new flow, drag and drop, and be ready for the next task. The team at Built.io pre-built the authorization to Salesforce and Marketo, in addition to pre-building wrappers around the API data structure there. This will then create leads in Salesforce, map data and execute the required task. This is much simpler than attempting to accomplish the same task in Lambda, requiring less coding of function/mapping logic or recompiling when a workflow issue arises. Built.io Flow has a developed an enterprise gateway within a firewall, creating a secure tunnel to the workflow server and flow engine that can pass in commands to an enterprise gateway. This allows for more layers of functionality atop what is already available, adding to the customization in the Built.io Flow. Workflows can also use complex mapping or logic while writing them. Teams are provided a Node.js container, which takes the place of an AWS Lambda function within a project’s workflow build. As the need for integration across services continues, more integrated PaaS solutions will come into play. Built.io Flow is an example of new workflow pipelines. It allows companies to build out a network of applications to accomplish tasks without spending hours writing glue code to keep everything together. Built.io Flow allows for a project build that is flexible — adapting to the ever-changing needs of an application development team — while also continuing to create value. IPaaS’s such as Built.io Flow ensure that with the right workflow build, users are retained, data collected, results analyzed, and opportunities to grow are met. Built.io’s position in the market has some context when considering how MSV views the BaaS market, which has morphed in size over the past two years. That’s evident when considering the competition that Built.io faces. According to MSV, some examples of BaaS and MBaaS offerings are AnyPresence, Apigee Usergrid, App42, Appcelerator, FatFractal, FeedHenry, Google Mobile Backend Starter Kit, Kii, Kinvey, Parse, Salesforce Mobile Packs, StackMob and Windows Azure Mobile Services. Feature image: “Motion Gears Team Force” by ralphbijker is licensed under CC BY-SA 2.0.